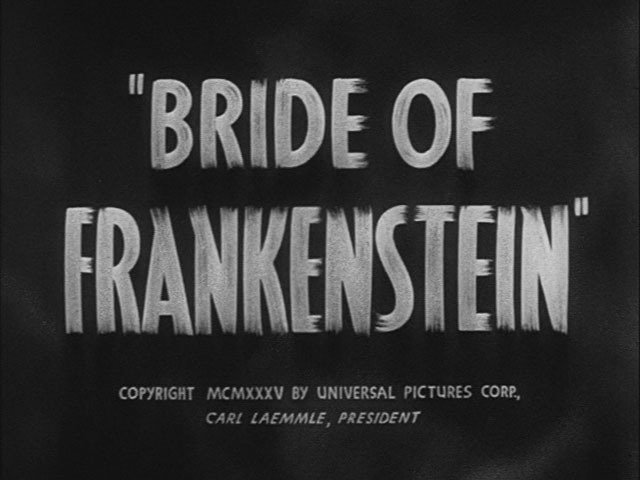 Starring Boris Karloff, Colin Clive, Elsa Lanchester, Ernest Thesiger, Dwight Frye and Valerie Hobson. Screenplay by William Hurlbut. Produced by Carl Laemmle Jr. Black and White. Mono. Not rated. 75 minutes. DVD edition: Catalog number 20632. Languages: English. Sound: 2.0 mono. Subtitles: English, French. Full frame. Dual Layer. Alternate audios: commentary. Mastered on 12 August 1999. At the left is the DVD cover art. 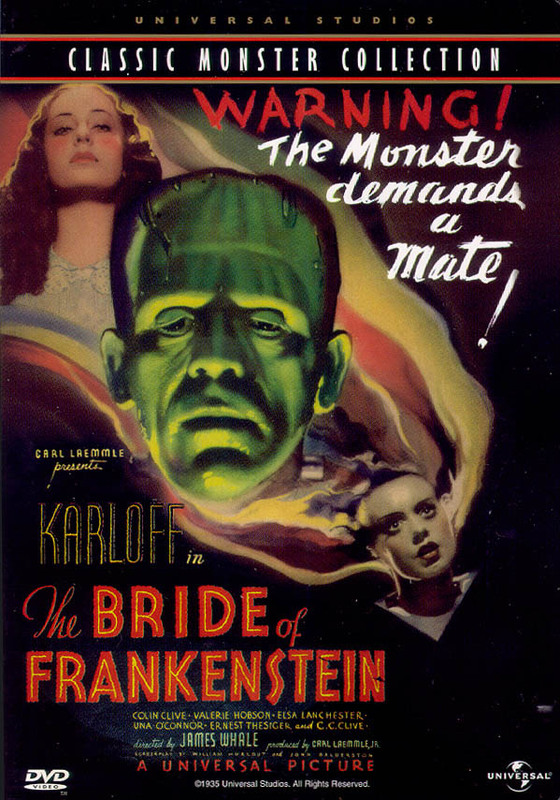 All of the Universal Studios Classic Monster Collection titles have cover art based on the original promotional posters. Click on it for a very large version (will open in a new browser window). At the left is an actual digital still capture of the title frame of the DVD, reduced to thumbnail size. Click on it for the full size version (will open in a new browser window). At the left is an actual digital still capture of the menu screen of the DVD, reduced to thumbnail size. Click on it for the full size version (will open in a new browser window). For more information or to purchase this DVD click on the amazon.com logo for the product page (will open in a new browser window). please use the email link at the bottom of the page. © 2004 by Steven W Hill. Email me.